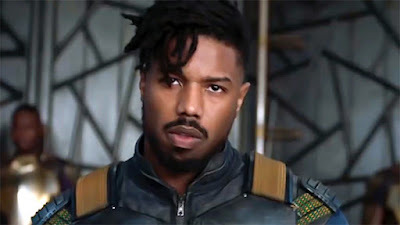 Michael B. Jordan is a busy man. That's what happens when you're starring in the #1 movie in the world, Black Panther, and shooting Creed 2 at the same time. Despite all of that he's still got time to create new opportunities for himself, like the upcoming WWII film Liberators that Jordan is set to produce and possibly star in. Penned by Madison Turner, Liberators tells the story of the 761st tank battalion in WWII, which was comprised almost entirely of African-Americans. By federal law they weren't allowed to serve alongside whites, but their heroism helped lead the way to the desegregation of the military. Jordan is producing through his Outlier Society label, but it hasn't been determined if he will star yet. If he does it would be a huge boost to the film, and you know Warner Bros., who secured the rights after what Variety calls a "highly competitive situation", want him to be the face of this project.